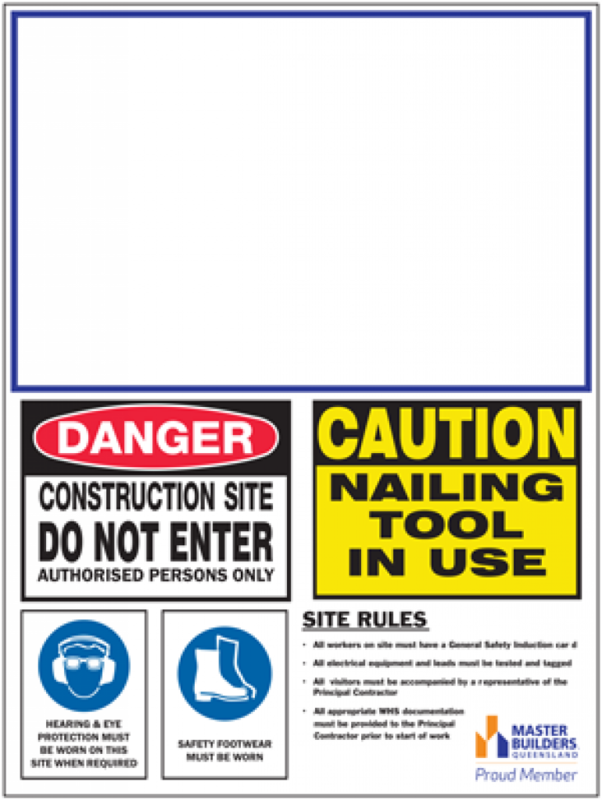 Master Builders personalised 4-in-1 safety sign incorporates four of the most commonly used site safety signs, plus a list of standard site rules, plus a personalised builder’s sign. Standard size (900mm x 1200mm). Please note: this sign is not sold blank and member details, including QBCC number, must be provided to be included when printing the sign. Member’s business logos will not be included on the sign.